gigantic bucket of blood and guts. We report on all subgenres of horror. so we may thoroughly report on the subject. where membership is free and you can stock up on everything you need for the killing spree. Written by Anthony Flores and Scott Licina	 The first ever Fangoria “Spooksmodel”, Shannon Lark, is more than just your standard femme fatale. Hailing from a small town in New Mexico better known for its ridiculous amounts of radiation than for its production of… well, anything (until now, that is)... Shannon is a talent that prides herself on being as intelligent as she is beautiful. Check it out HERE on FANGORIA!!! "Twilight" ranked more than $70 million in it's opening weekend, but is getting mixed reviews from the critics. Stockholm syndrome: A psychological response sometimes seen in an abducted hostage, in which the hostage shows signs of loyalty to the hostage-taker, regardless of the danger (or at least risk) in which they have been placed. Featured Artist Niki Pretti is LIVE in the Slaughter Shop! Featured Artist Niki Pretti, an SF Bay Area photographer who focuses on creating entire stories through her still camera, is now set up in the Slaughter Shop! Take a bite out of Jessicka Rabid! The horror genre has been witness to its fair share of dysfunctional family units. From the Sawyer family in the Texas Chainsaw Massacre to Otis, Baby, and the rest of the Devil’s Rejects kindred, horror has given its audience a stern reminder that regardless of how difficult your family is, there can exist an even worse one. Carnal Cadaverous: 21 Questions with a Dead Girl! Welcome to Carnal Cadaverous my naughty little fiends! Today we discuss a subject close to my nocturnally maladjusted heart; a dead girl, or more correctly Dead Girl. Unlike what's packed tight within my chest freezer in the next room, Dead Girl is a film; a film written by the one and only Trent Haaga and starring the enchanting Jenny Spain. If you do not know who Trent Haaga or Jenny Spain are then you should return your head beneath those sodden rocks and continue falsely existing within that delusion you call a "life". 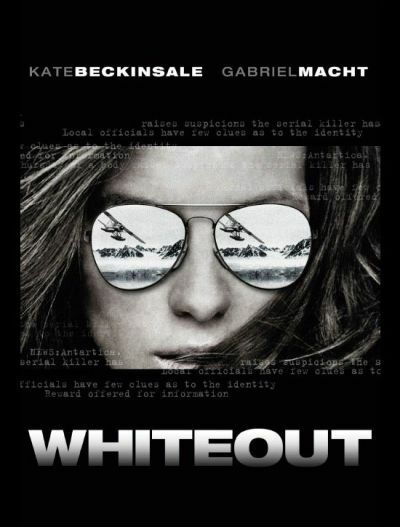 Kate Beckinsale stars in "Whiteout"
A new film starring Kate Beckinsale entitled "Whiteout" based on a comic book by Greg Rucka is set to release in 2009. "Whiteout" centers around U.S. Marshal Carrie Stetko (Beckinsale) who is tracking down a killer in Antarctica as the sun is about to set for six months. This Week at The Slaughter Shop! Stephen Spielberg is working with actor Will Smith to re-create the 2003 Korean film 'Oldboy.' However, it remains to be seen if Spielberg and Smith will take the film to a dark place like the original, or amp it up into the sunshine. Are you interested in seeing Oldboy be remade by Spielberg and Smith? Site contents copyright © Shannon Lark unless noted otherwise. All rights reserved.